When I asked some new climbing friends to guess how many brands make climbing harnesses the first climber said “16” and the second, who reported knowing this was a trick question and upped his answer, threw out 26. Andreas, who makes all of our climbing videos, also guessed 25. Not surprisingly, WeighMyRack’s official count is higher, at 38 brands selling UIAA / CE / ASTM certified climbing harnesses. And I’m sure a few more textile companies will show up to the count soon. Worth noting: WeighMyRack doesn’t cover the professional side of harnesses — arborists, fire, Search and Rescue, etc. But in addition to standard climbing harnesses, we do include harnesses for kids, full-body climbing harnesses, and the style of harnesses that are used by guides, gyms and activity clubs. And we definitely consider ski mountaineering to be climbing so we have those uber light harnesses too. 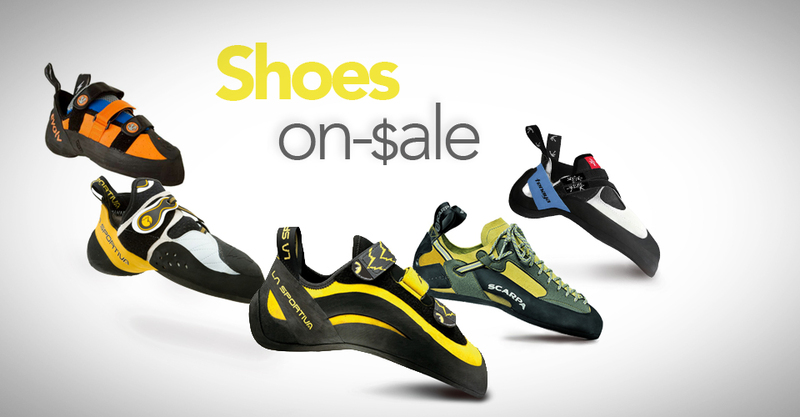 All these brands sell UIAA / CE / ASTM certified rock climbing harnesses for recreational purposes. You won’t see CMI harnesses in this list as they are meant for professional use. Similarly, we only list the recreational side of harnesses for brands like Petzl and Yates, who also make harnesses dedicated to professional use. Are we missing any brands currently selling recreational rock climbing harnesses? Email Alison, or let us know in the comments below. btw. when Your question was “how many brands make climbing harnesses”, 35 brands in Your list is not the answer – Fixe, DMM and very probably Stubai harnesses are made in Czech republic by Ocun and Singing rock. And (if anything hasn´t changed) Tendon is the rope factory and its harnesses are Singing rock origin too. Great comments Lada. We’re definitely still working on Rock Empire, it’s been hard for us to get some of the details and many of their harnesses are currently not passing our filters. I should have been more clear about that in this post. And it’s true that a lot of brands hire other companies to manufacture their gear. That’s why on these types of blog posts, in the header and throughout the body of the post we definitely make sure to say “all the brands that sell harnesses” versus “all the manufacturers that make harnesses.” I believe you are referring to our hastily written Facebook comment–thanks for calling us out and making sure we stick to the same strong principles on social media as we do in our blog posts. Hi you forgot one of the biggest manufacturer I Europe, Skylotec. Check out there harnesses here. Great catch Linus! I’m adding Skylotec to the list now.